All the participants with the lecturers. 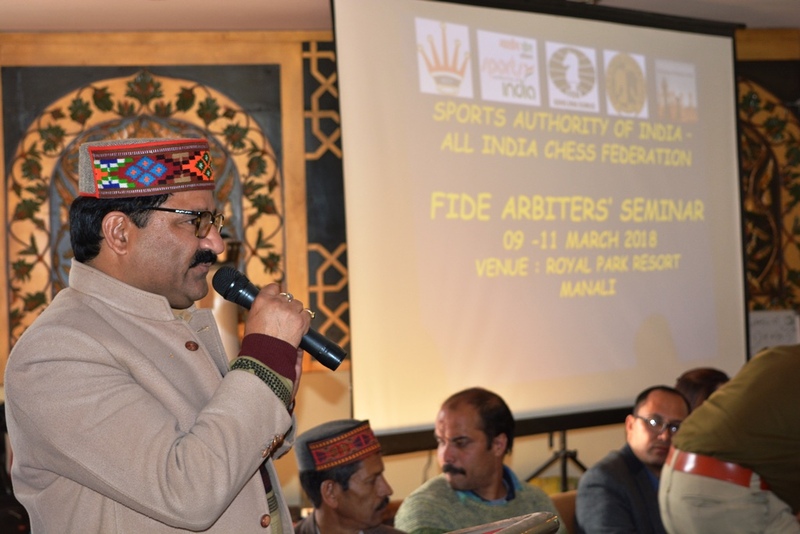 A FIDE Arbiter Seminar was organised by All India Chess Federation and FIDE Arbiters’ Commission at Hotel Royal Park Resort, Manali from 9th to 11th March 2017 with the support of Government of India Ministry of Youth Affairs & Sports. 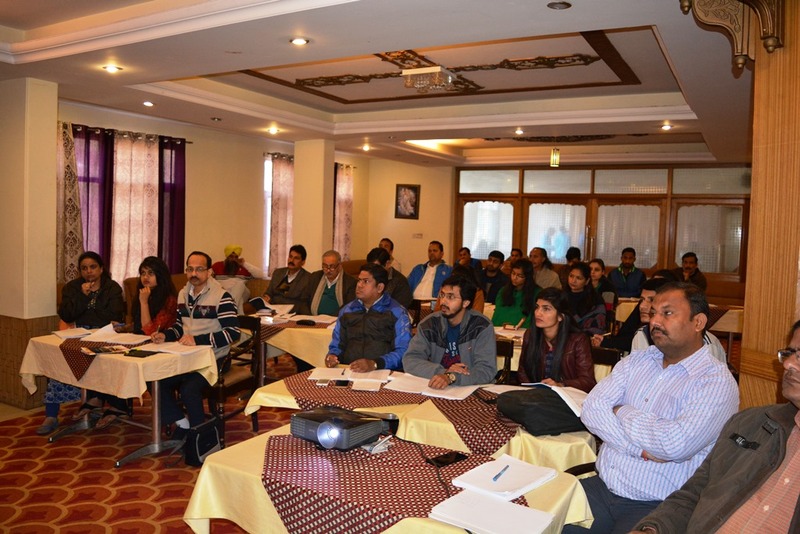 Thirty-Three participants from Jammu & Kashmir, Punjab, Himachal Pradesh, Haryana, Uttar Pradesh, Chandigarh and Rajasthan participated in the three-day event. International Arbiter, Gopakumar M S was the Chief Lecturer and International Arbiter Swapnil Bansod assisted him in the lectures. 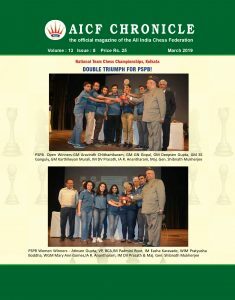 IA Gopakumar and IA Bansod lectured on topics like Laws of Chess, Rating regulations, Title regulations, Arbiter regulations, Competition rules, Tiebreaks, Pairing regulations, Anti-cheating regulations etc. 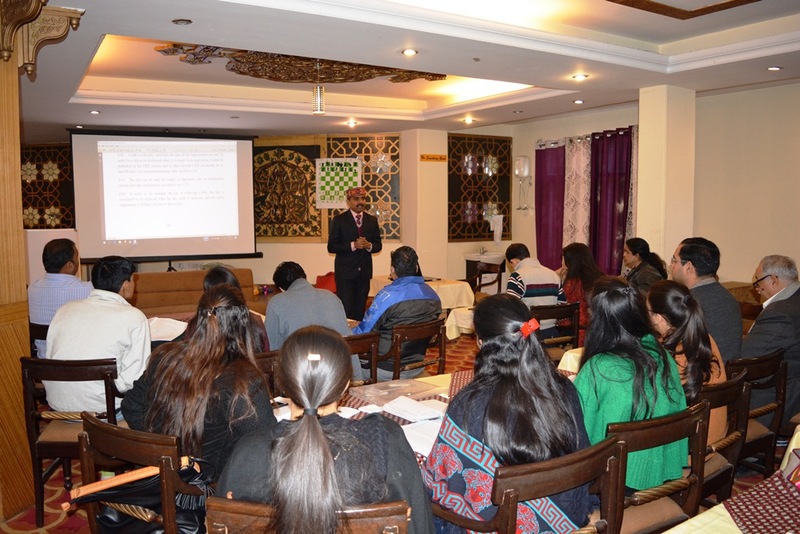 The participants were very enthusiastic and inquisitive for a lot of inputs. On the third day evening, the participants attended the examination and the results will be published by FIDE Arbiter Commission in two weeks’ time. Hon’ble Sports Minister of Himachal Pradesh Shri. Govind Singh during the closing address. 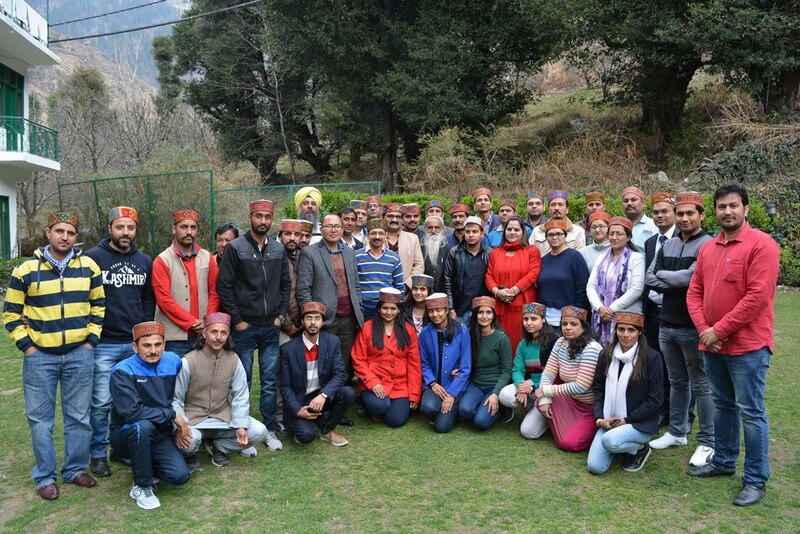 In a colourful closing ceremony, Hon’ble Minister for Sports Government of Himachal Pradesh Mr Govind Singh addressed all the participants and also felicitated the lecturers and the participants with traditional ‘Kullu Caps’. 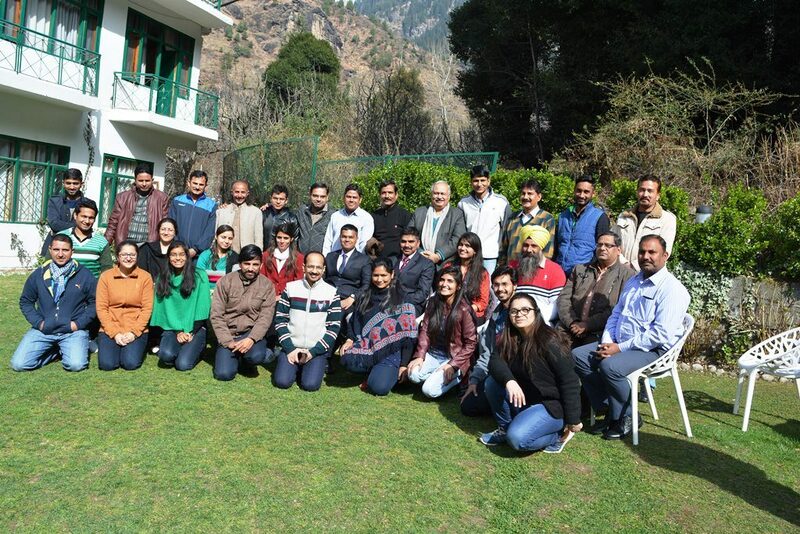 Participants, officials, Lecturers with Hon’ble Minister of Sports Himachal Pradesh. The Himachal Pradesh State Chess Association Secretary Shri. Sudarshan Kumar and his team put meticulous efforts for making the seminar a memorable one for participants and lecturers.